I just met with Rav Shlomo Amar, Sefardic Chief Rabbi of Israel, who is in my neighborhood for Shabbos. 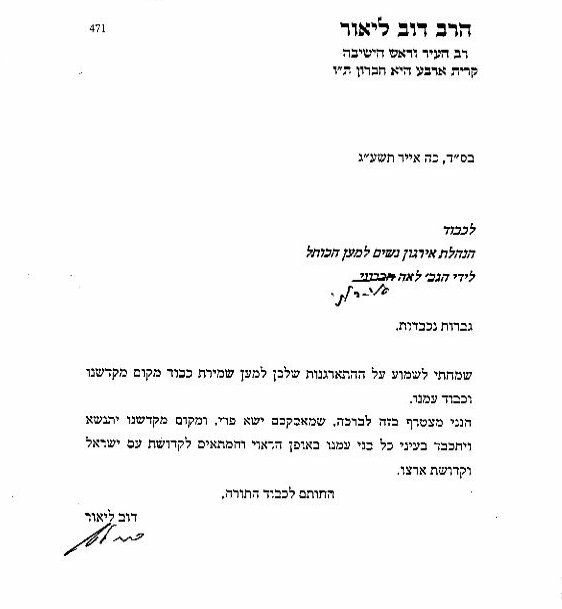 I shared with Rav Amar the current situation at the Kotel, re suggested changes in the women’s section, and suggested adaptations and changes to the Southern Wall areas. 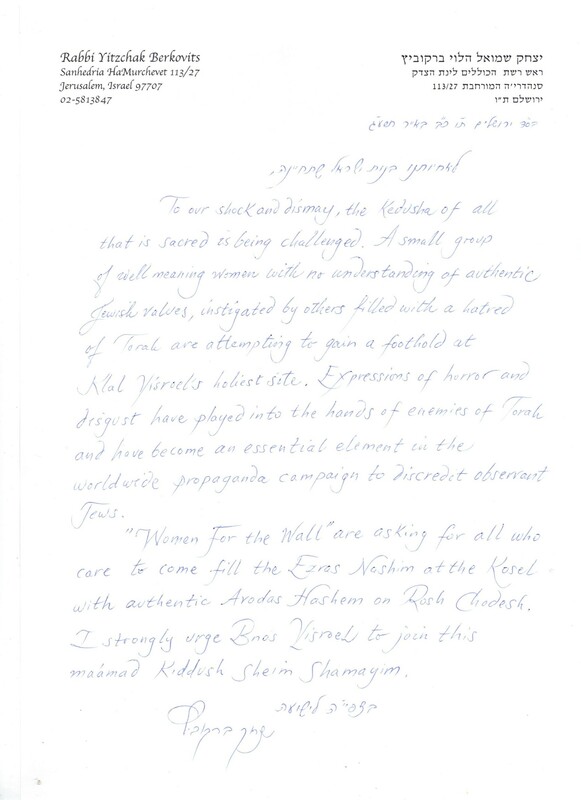 I shared with the Rav the goals of the new organization WOMEN FOR THE WALL. He appreciated their positive efforts and their emphasis on being welcoming and nice. He told me, he is against any changes and adaptations to the greater Kotel area, and that I and others should do everything we can to protect the kedusha and the traditions of the holy site. He emphasized that all should act with pleasantness and dignity. He wrote this letter to me, I share it with you.